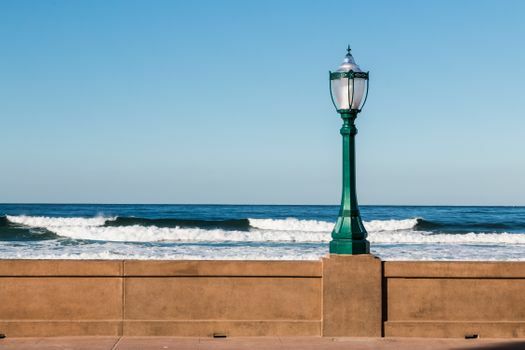 San Diego’s coastline stretches for over 70 miles so you won’t be short of options when looking for San Diego beachfront rentals. 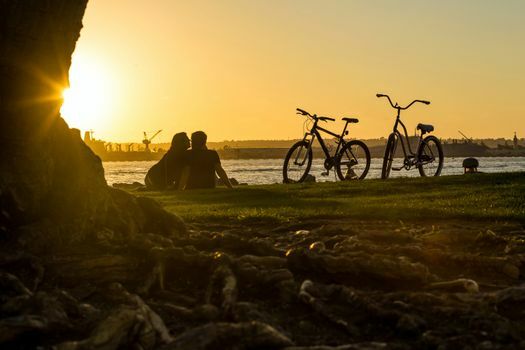 As well as the vast number of beaches to choose from, San Diego beach rentals offer you far more privacy than staying in hotels for a more intimate romantic break. At first, the list of beaches in San Diego seems quite daunting. However, you can narrow this down easily by seeing what each has to offer you as a couple. 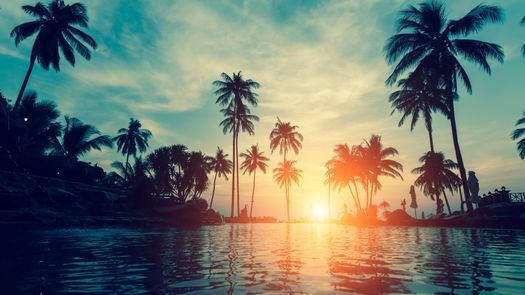 Here are just a few of the popular beaches. The lively Mission Beach is particularly popular with young adults, but don’t be put you off if you’re older. The beach itself is wide and a mile long, and the boardwalk stretches for almost two miles. Enjoy water sports like surfing and boogie boarding. 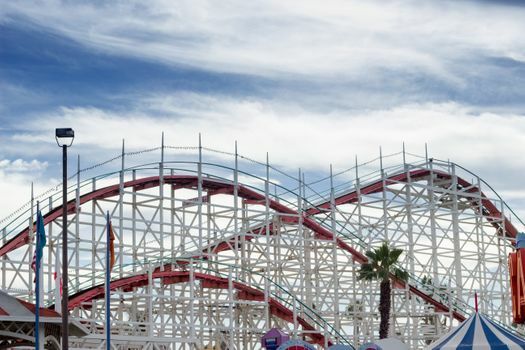 On Mission Boulevard, Belmont Park is a major attraction with both classic and modern boardwalk attractions, such as the wooden Giant Dipper roller coaster. For a slower pace, choose a rental at South Mission Beach. There, you can watch beach volleyball, go fishing on the jetty or relax on the beach, which is wider than Mission Beach. Dive half a mile off the coast to explore the shipwrecks. 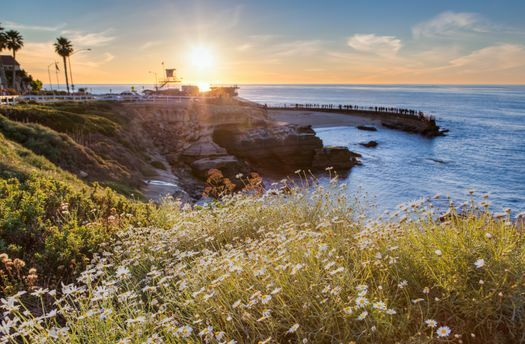 If you love snorkeling and diving, stay near La Jolla Cove. The pretty region has secluded coves and white sandy beaches surrounded by towering cliffs. It’s protected by the La Jolla Underwater Park Ecological Reserve, so you’ll see lots of marine life. You’ll also see sea lions and seals heading to the coves. 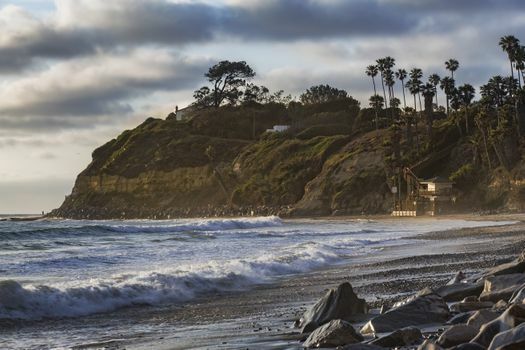 Surfing fans should stay near Swami’s Beach, the inspiration for the Beach Boys’ “Surfin’ USA.” If one of you likes surfing but the other doesn’t, there are lovely spots to top up your tan and admire the view. Coronado Beach is pristine with white powdery sand that sparkles due to the mineral mica. The iconic Hotel del Coronado is in the background, showcasing its romantic-looking turrets. 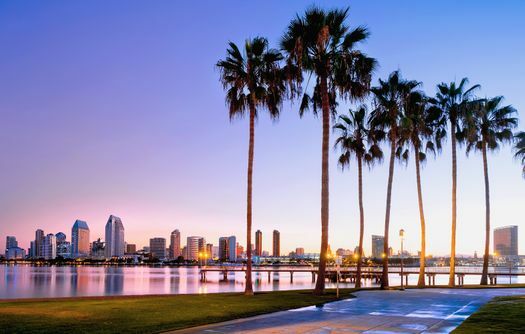 Go shopping and dining in Orange Avenue, cross Coronado Bridge to enjoy stunning views and cuddle up around a fire pit while enjoying some s’mores. If you’re taking your dog along on vacation, visit the Original Dog Beach. 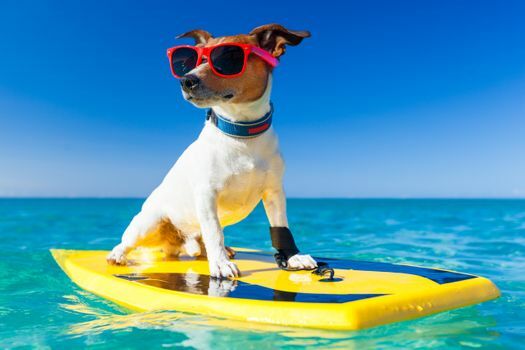 Go paddling with your pooch or watch it frolic with other dogs on the sand. You’ll find this hot spot for canines at Ocean Beach’s northern end. After a fun day at the beach, stroll to Dog Beach Dog Wash to wash away the sand before heading back to your rental. 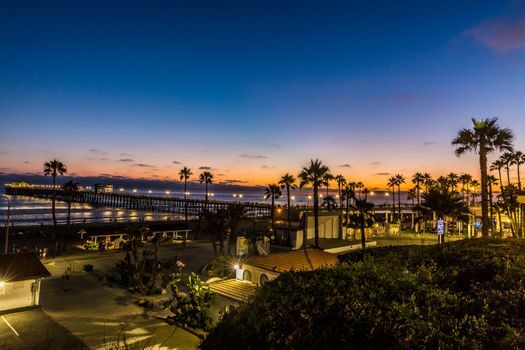 Another place to go with your four-legged friend is Seaport Village. This waterfront entertainment complex next to San Diego Bay has over 50 shops and 17 places to eat out. Many of these places are pet-friendly, and you can dine there while admiring the harbor views. You’ll want to dine out while on vacation but there will be times when you’d like to relax in your beachfront rental with a romantic meal for two. 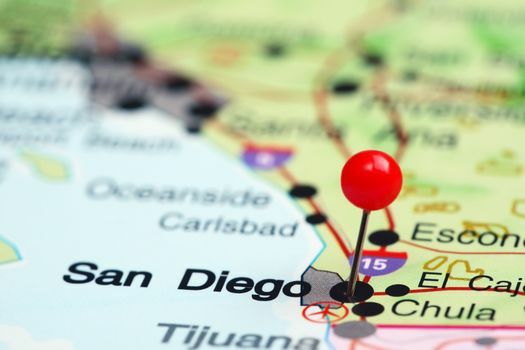 Before you book one of the San Diego beach rentals, ensure it has a fully equipped kitchen so you can simply pick up some groceries from a local store and release your inner chef. As you’ll want to dine outside and enjoy the balmy evenings, also ensure your rental has an outdoor patio or at least a balcony before you go ahead and book it. Enjoy your romantic meal while gazing out at the ocean. While you’re staying across from the ocean, you can still enjoy a quick dip in a pool without getting covered in sand or salt water. Look for rentals that have access to a pool so you can look forward to a refreshing swim whenever you want. 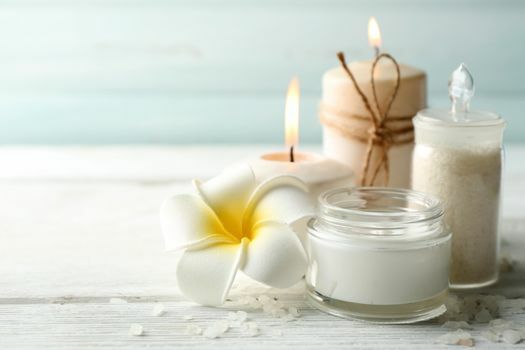 As you’re enjoying a couple’s vacation, it’s also worth inquiring about a Jacuzzi spa in your rental.